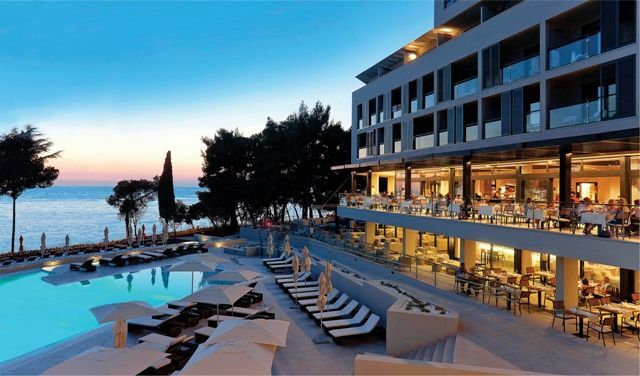 It has 13 hotels (six 4**** hotels, including the Bonavia Hotel in Rijeka, six 3*** hotels and one 2** hotel), 4 apartment villages and 4 campsites, having the total accommodation capacity for 22.000 guests. Their 13 hotels have conference halls and meeting rooms which can accommodate 10 to 600 people, providing audiovisual and other equipment. There you will find everything you need for a professional organization of business events while pleasant Mediterranean climate and natural environment will ensure you get the piece and comfort you need. A combination of the pleasant and the useful – this might just be the essence of their message and the goal of their offer for the organization of congresses, seminars, work meetings, symposiums, presentations, sports events, weddings, gala dinners, refreshments during work meeting breaks, as well as folklore evenings, special entertainment programs and animation in Laguna Poreč facilities. After the regular program, they also offer relaxation in one of exceptional outdoor or indoor sports-recreational facilities, gym, swimming pool or wellness. Staying in Istria without getting to know its inland would be a real shame. That is why they organize half-day boat tours, tours of the Istrian inland with visits to picturesque Medieval towns and excursions to Pula, Rovinj, Lim channel, Brijuni, Trieste or Venice.